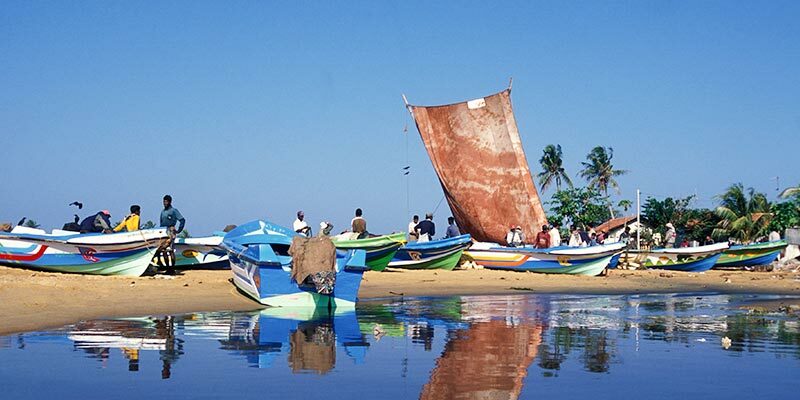 Home to some of the most intriguing places, beautiful beaches and people who are reputed to be the warmest and hospitable in the world, Sri Lanka is truly a dream destination for the avid traveller. This beautiful country has lots to offer to tourists and its richness and beauty evokes a feeling of contentment, peace and bliss in its visitors. 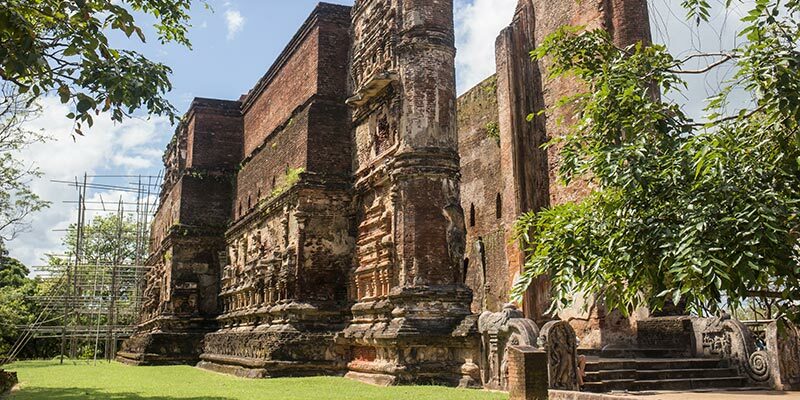 Marco Polo stated that he considered Sri Lanka to be the finest island of its size in all the world and you’ll likely agree after exploring its fabled delights. Despite being so small in size, it offers a diversity that is unmatched by any other. 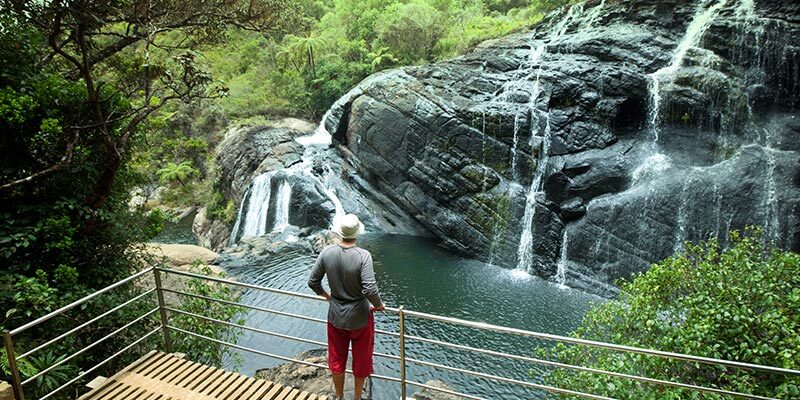 Picturesque landscapes, a warm culture and endemic wildlife and more, Sri Lanka is indeed a true paradise for visitors. With an amazing number of attractions from sunny gold and white sanded beaches, mysterious and ancient cities, beautiful fauna and flora, finest handicrafts, world famous gems, colourful festivals and people famous for their warmth and hospitality it is a great tourist destination and paradise. Accommodation on half board basis for 10 nights. Transport in an air-conditioned car with the services of English-Speaking chauffer guide. Arrival at the Bandaranaike International Airport. The clients will be welcomed by the chauffeur guide. Visit the Pinnawela Elephant Orphanage en-route to the hotel in Dambulla. Check-in is scheduled for 1400HRS. Transfer to the hotel and spend the evening at leisure. Dinner and overnight in Dambulla on HB basis. 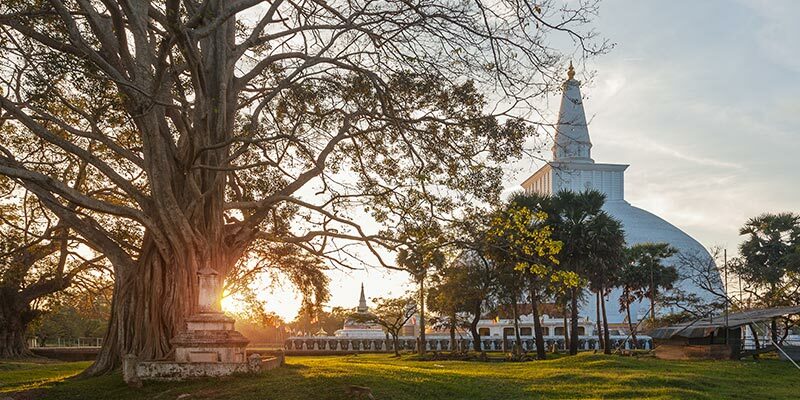 Enjoy breakfast at the hotel and prepare to tour the historical city of Anuradhapura (approx. 1.5 hrs. travel time). Transfer back to the hotel. Dinner and overnight in Dambulla on HB basis. 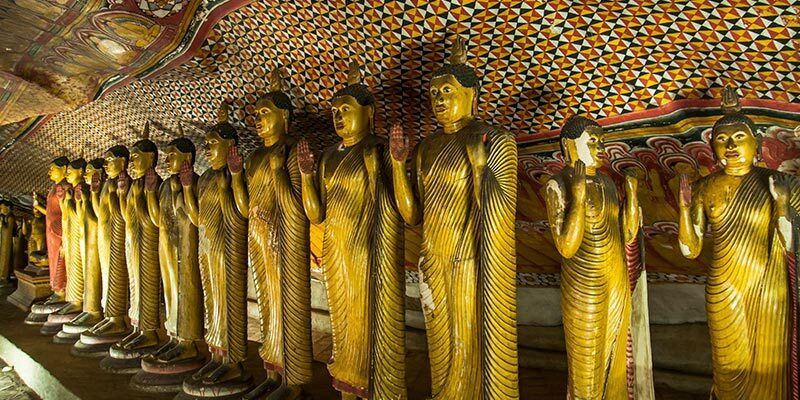 Enjoy breakfast at the hotel and prepare to take on a cultural tour of Polonnaruwa (approx. 1.5 hrs. travel time) Visit the royal palace, Hindu temples, and the Temple of Atadage- “House of 8 Relics”. Transfer to Minneriya and conduct an afternoon safari at Minneriya National Park. Transfer back to the hotel and spend the evening at leisure. Dinner and overnight in Dambulla on HB basis. Enjoy your breakfast and prepare to depart from Dambulla to Kandy, while visiting the Sigiriya rock fortress en-route. Transfer to Kandy from Dambulla (approx. 3 hrs. travel time). Visit a spice garden in Matale en-route to the hotel. Transfer to accommodation in Kandy. Check-in is scheduled for 1400HRS. Refresh and prepare to visit the Temple of the Tooth, or the ‘Dalada Maligawa’, in the evening. 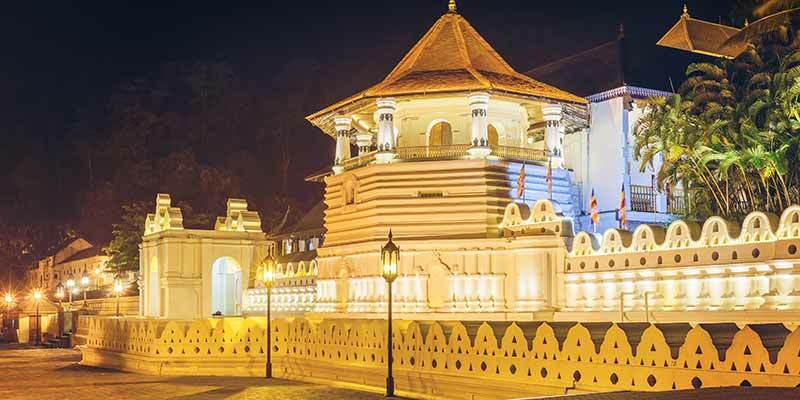 Dinner and overnight in Kandy on HB basis. 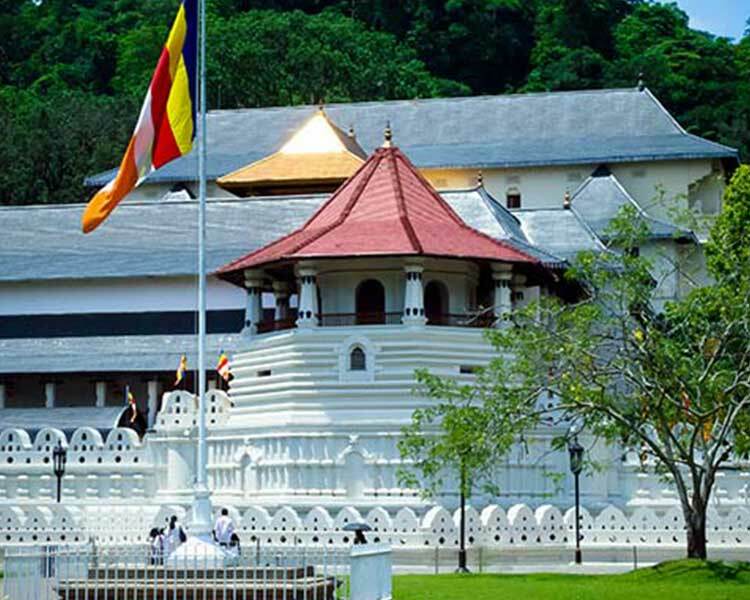 Enjoy your breakfast and prepare to take on a Kandy city tour via rickshaws or ‘tuk tuks’. Transfer back to the hotel, refresh and prepare to depart from Kandy to Nuwara Eliya (approx. 3 hrs. travel time). Visit a tea plantation in Nuwara Eliya en-route to the hotel. Transfer to accommodation in Nuwara Eliya. Check-in is scheduled for 1400HRS. Spend the evening at leisure. Dinner and overnight in Nuwara Eliya on HB basis. Enjoy your breakfast and prepare to depart from Nuwara Eliya to Negombo, while visiting Kitulgala en-route. 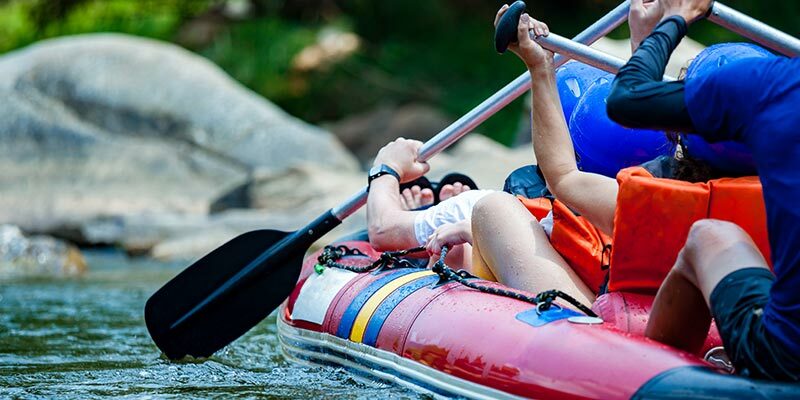 Transfer to Kitulgala for white water rafting (approx. 2.5 hrs. travel time). Transfer to Negombo from Kitulgala (approx. 3 hrs. travel time). Dinner and overnight in Negombo on HB basis. You will be at leisure by the beach for the next few days. Dinner and overnight in Negombo on HB basis. Enjoy your breakfast at the hotel and prepare to depart from the hotel, where your chauffeur will transfer you to the airport for departure from the island.